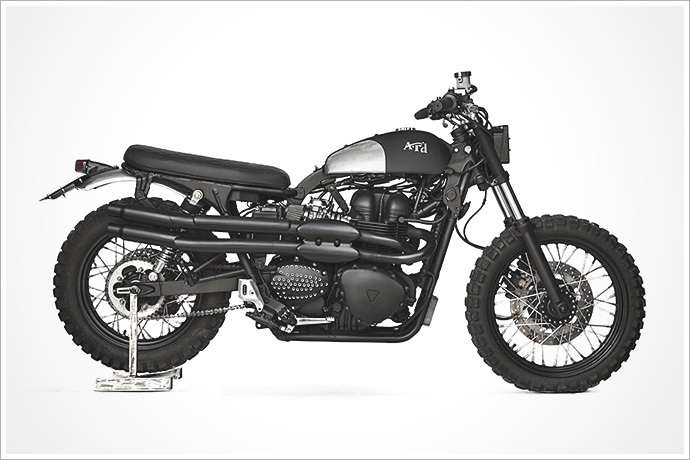 Let’s start with the basics, the donor bike is a 2006 Triumph Scrambler and in true Anvil fashion nearly everything has been painted matte black. The large stock Triumph tank has been swapped for a smaller vintage tank which is 60 years old and they found in the markets, which has been restored and painted black with silver – one of the only parts on the bike that received a different colour. 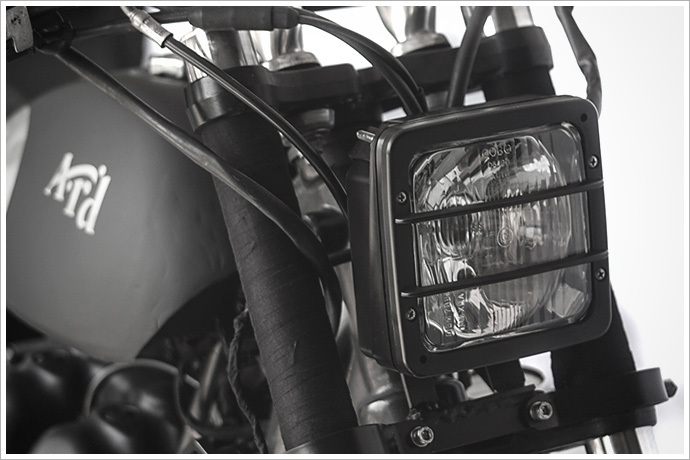 The square black headlight is off a tractor and adds to the brawny look from the front. 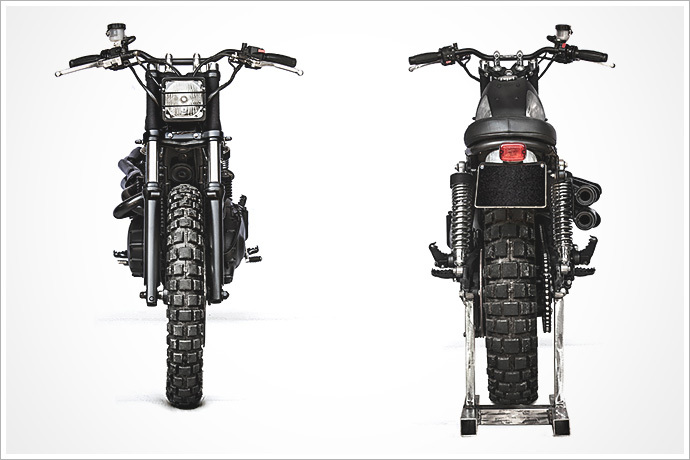 The stock Scrambler seat has been ditched for a hand made leather one – Italian leather, of course. 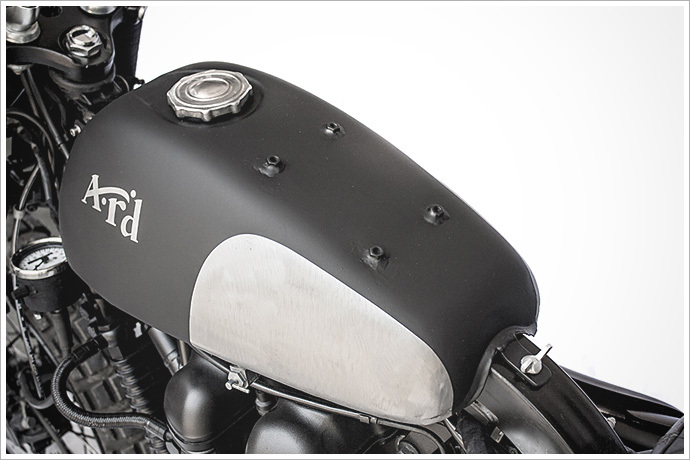 Customised mufflers, the engine, and motocross handlebars have all been given the Anvil matte black treatment. While the handmade aluminium rear fender gives the bike another touch of silver. 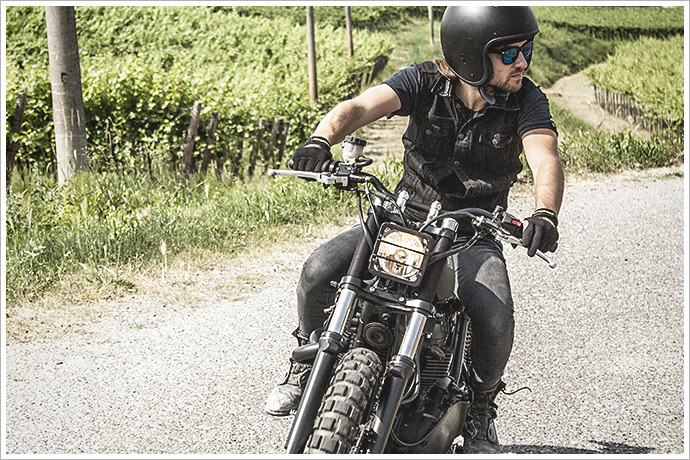 The tires are Continental TKC 80’s – they love the road almost as much as they love getting dirty. 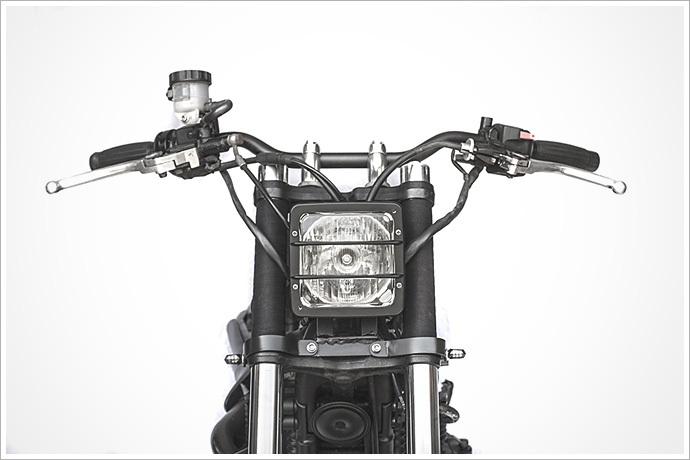 To make the bike more agile, they have lowered the centre of gravity of the bike to give it a motorcross feel by replacing and lowering the rear shock absorbers and the front forks. 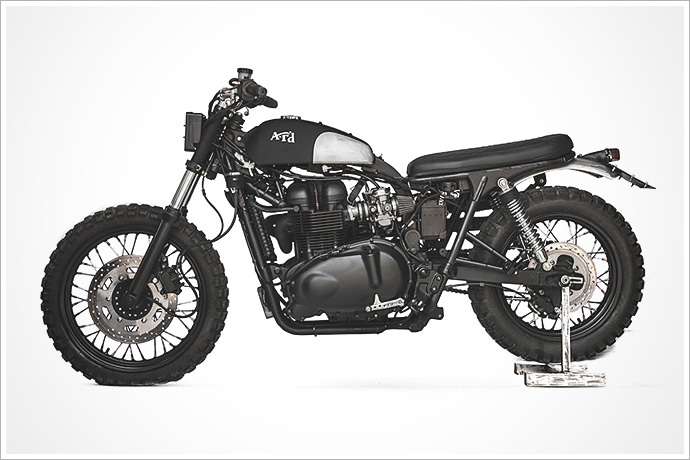 Before handing the bike over to the eager customer, the guys had to take it for a test ride around the roads and fields behind their workshop and straight away they knew they were successful in what they set out to achieve, creating a timeless scrambler that looks like one, but more importantly rides like one.